The Lotus Design basic meditation cushion has a height of 14cm (5.5") and is filled with buckwheat husk that ensures a great base for meditation. This round cushion provides a 28.5 cm (11.2") sitting area and weighs approximately 2.3 kg (5 lbs). It is equipped with a cotton twill cover and a carry strap for easy transportation. 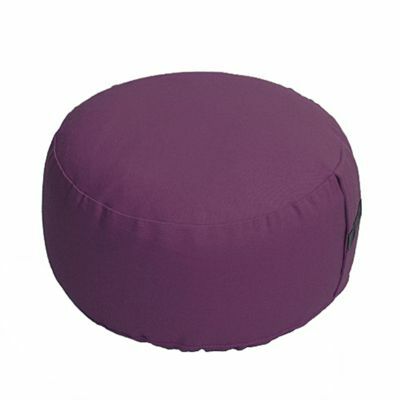 The cushion is washable up to 30° C.
for submitting product review about Lotus Design 14cm Basic Meditation Cushion.